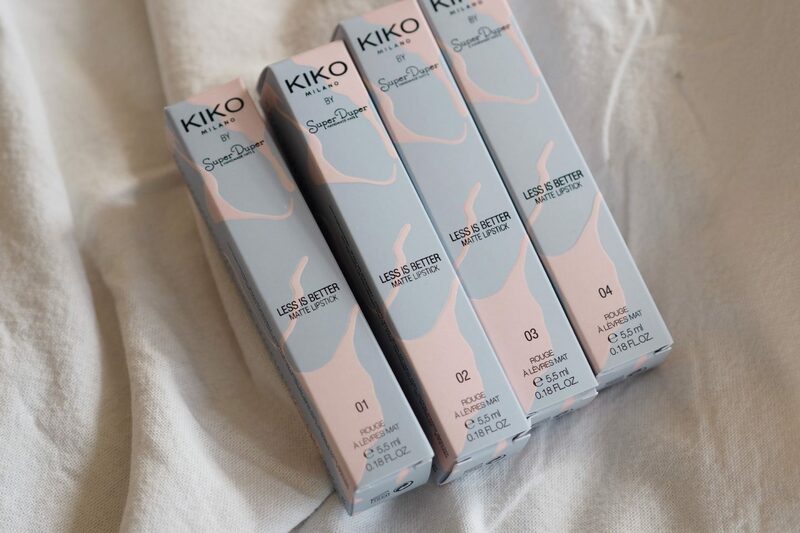 The conveyer belt for Kiko collections seems to be set to ‘high’, no sooner has one sold out another one is right there. My blogging style means I’m often WAY too slow to get on board whilst they’re still in stores but this one I made an exception for. It won me over from the packaging alone, when I saw the products too – sold. 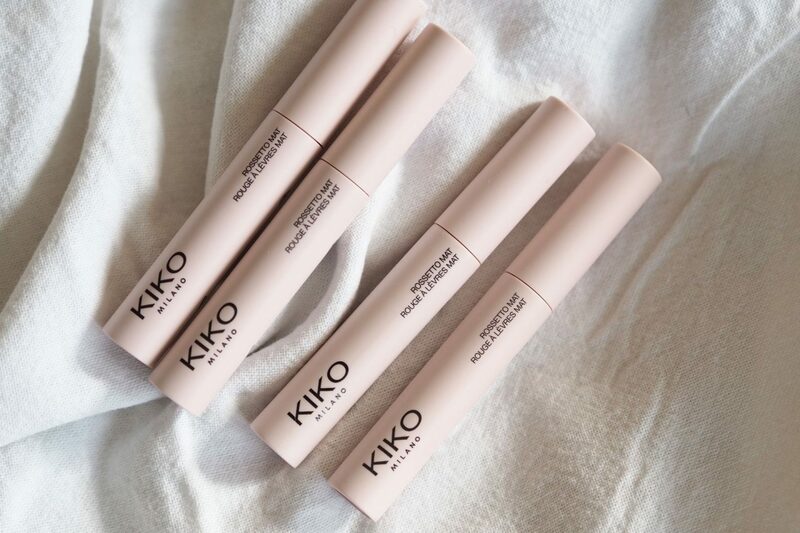 This is the Kiko Less Is Better Collection and it marks twenty years of Kiko Milano. Sure, a brand relatively new to the UK but has been going strong in Italy for two decades would you believe. Crazy talk but I’m glad it made it’s way to our little island. Below I’ve swatched each of the lip shades and the eye crayon shades for you. 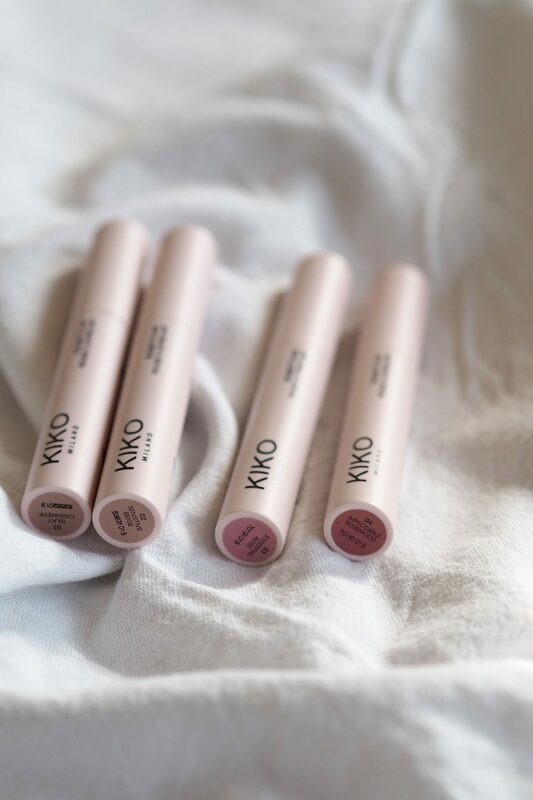 The lip shades are in the neutral family. How neutral each looks will really vary depending on your own skin tone. For me 03 Essential Rose is my favourite. It’s neutral and pink all at the same time. The texture is light and definitely matte when dried down. Only sticking point is staying power isn’t great. Lovely colour but doesn’t last too long. 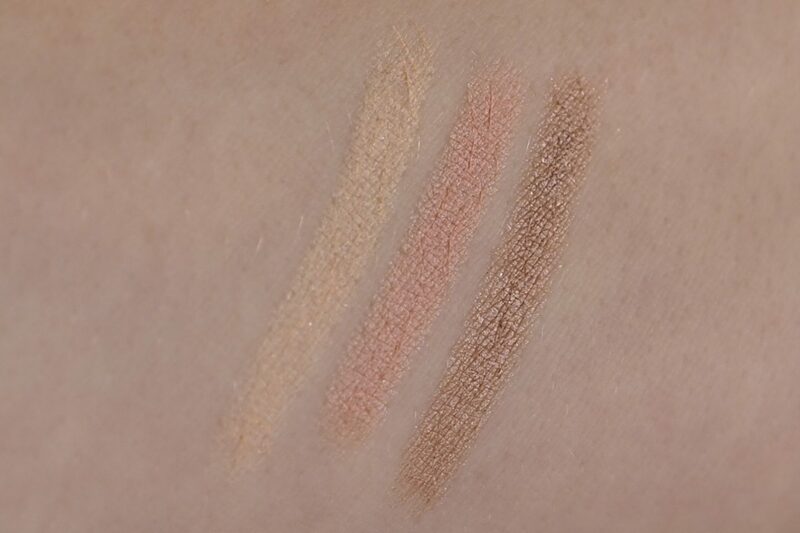 For the Long Lasting Stick Eyeshadow – these are probably some of my favourites from the whole collection. 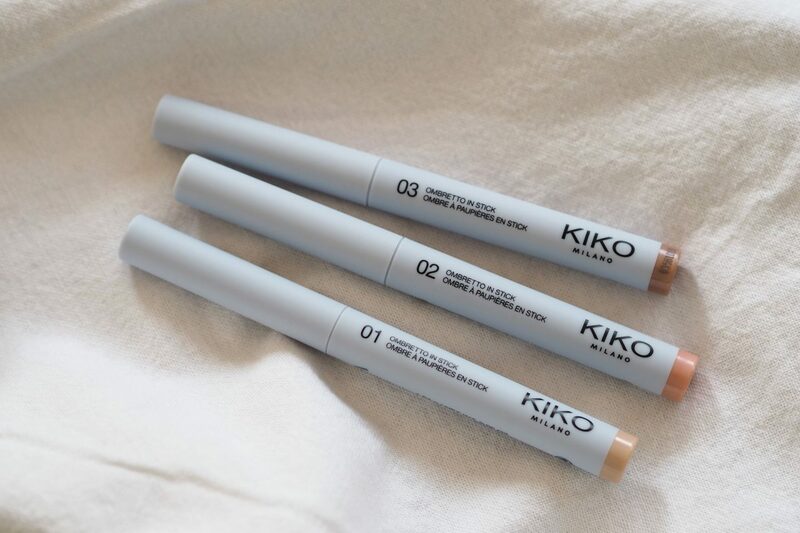 The Kiko Long lasting eye crayons are really great and I love all three of these shades personally. With the shades 2 & 3 being my top picks (the peachy pink and soft brown shimmer). Then there are shades of highlighter and cream blush. My current favourite make-up is to use a liquid highlighter with just a soft glow all over as a base. Then add foundation on top – usually just on the areas I need it rather than all over. Nose and chin to counter redness and a little on the forehead. But for me – like this collection – Less is Better! From the whole collection I decided to pick out my favourite pieces and create a little everyday speedy look using them. This is pretty much the ideal example of my day to day look at the moment. Natural, neutral and quick to do. Overall it’s a neutral-lovers dream collection and with the prices SO affordable (starting at £5.90 to max £14.90) it’s a no-brainer. If you love it though, move fast – these collections do have a tendency to sell out!